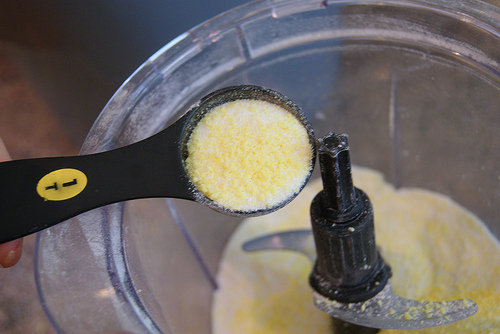 In less than 15 minutes, you can make over 6 months worth of laundry detergent. What is the average cost per load? $.03-$.05! Purchase three ingredients. 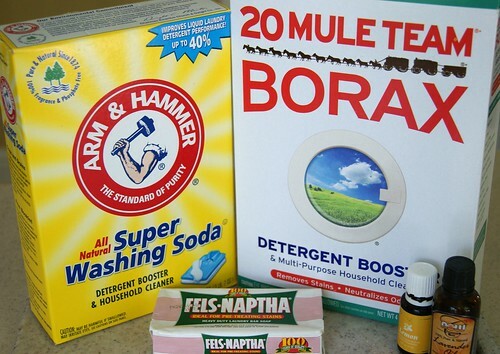 Borax, washing soda and a soap. Many recipes call for Ivory. 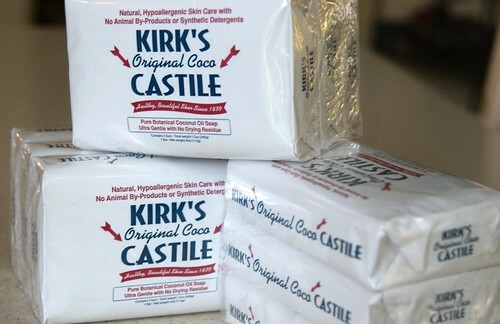 I use Fels Naptha for heavy duty and Kirk’s Castille for hypo-allergenic needs. 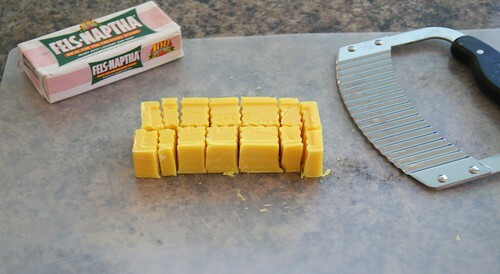 Cut one bar of soap into chunks. Blend with 1 cup borax and washing agent to reach desired constancy. If you don’t have a blender that can handle this, grate the soap by hand. Use 1 tbsp per large load of clothing. Add 1-2 drops of essential oil such as lavender or lemon if desired. About once a week, add 1/2 cup white vinegar to the liquid bleach container and run with the load. There is no smell on your clothes. This keeps the washer fresh. Don’t wait for the musty smell to remind you. Did I mention that homemade laundry detergent works BETTER than Tide? Seriously. You can’t buy this kind of endorsement. I’m not for sale! Once you start using homemade laundry detergent, you’ll never be tempted to buy expensive brand-names again. Great website! 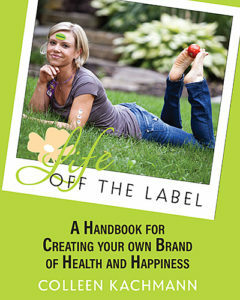 Just wanted to point out that Fel Naptha is not vegan. Can you recommend another soap. Thanks! Ok, why do you say it’s not vegan? I’m still learning myself! Thanks for any insight you have. Is this ok to use in a “HE” washer?Thank you. Absolutely. I use it in mine every day. Fels Naptha is made with animal fat.